Ok, well, it seems to be cold everywhere BUT Alaska. The stupid jet stream sent the cold weather soaring to the Lower 48 and left Alaska with record high temps and in my area we're still waiting for our first snowfall! If this holds out until the end of the month this would be the least-snowy November for Anchorage, and the first November in recorded history that we have never seen measurable snowfall. That just depresses me! My snow fixation was perfect for this weeks Friday Mashup brought to us by Avery.....a card inspired by weather and include a metal embellishment. I started daydreaming about our beautiful winter nights when everything is covered in snow and the light from the moon illuminates everything and it's just so magical and still. I'm really hoping we get some snow soon so I can enjoy those type of nights again! 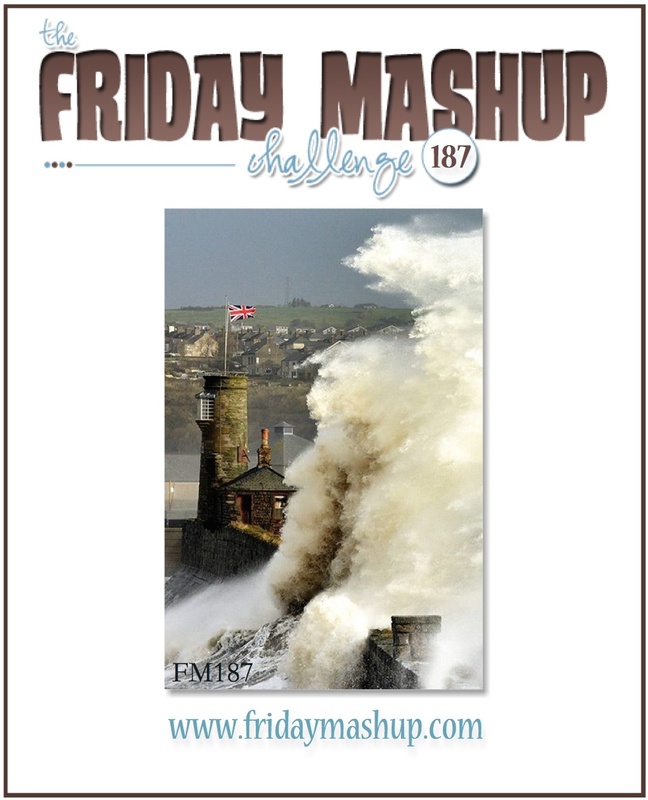 Head over to The Friday Mashup and check out all the great weather inspired cards by the rest of the DT and then play along with us! Create a project using "a Metal Embellishment (Staple, Brad, Grommet etc.)". Create a project using "Weather as your Inspiration" think Storms, Winter, Clouds, Rain, Sun, Warm Sandy Beaches. or Mash it Up! and create a "Weather inspired project with a Metal Embellishment". Thanks so much Janelle, I'm glad you like it! Thank you again for the comment, I appreciate it! your card is so striking ..beautiful . Thank you for sharing.